Well, as my last post stated, I’ve been struggling with massive headaches that the doctors have deemed migraines. It has taken all this time to start getting control over them and I’m now down to only one or two a week versus three or more. I have seen a neurologist and had a MRI so next week I will have my follow up and we can go from there. So what does this mean for my blog, my shop, etc.? Well, it means that I can start working on the computer a bit more as the dizziness and headaches are starting to ease and not keep me in bed and away from screens as they made it worse. It also means that I should be able to grab decent pictures of my products instead of blurry ones. It also means that I’m feeling good enough to consider dyeing new items. In the meantime, I will post as I can and provide regular updates. I have plans to be at the Blackland Prairie Artisan and Fibre Faire in September so I have just over a month to make sure that I have enough stock for my adoring public. So I will leave you with something pretty at which to look. 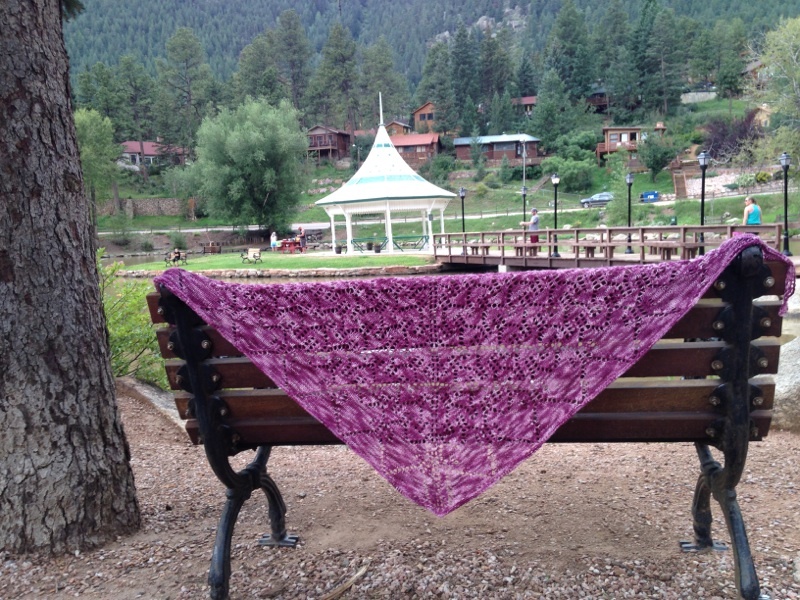 This is a shawl I just finished. 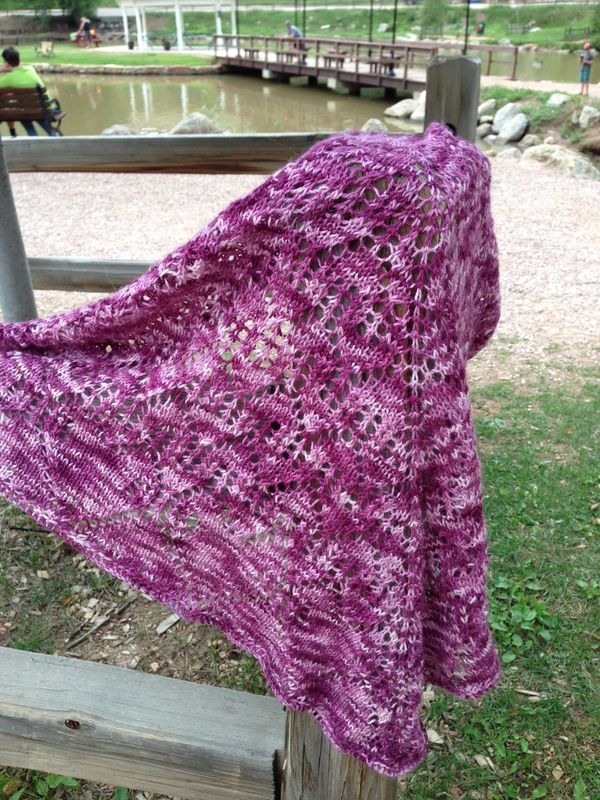 It is the Astolat Shawl by Karen Robinson knit in my Dragon’s Delight base in the colorway “Hail Ceasar.” It was a dream to knit up and I love the feel of this wrapped around me. This entry was posted in General, The Barbed Dragon and tagged #TheBarbedDragon, cashmere, knitting, purple, shawl, silk, sock, The Barbed Dragon, yarn. Bookmark the permalink. The shaw is wonderous. Thank you for sharing. I want to do some dying this year. I’m glad to hear you are feeling a bit better. Hugs.